We booked this tour not realizing that it coincided with Spring break and the Cherry Blossom Festival parade - all streets around the mall were blocked! In spite of this, Edward navigated his way around the congestion, and we were able to see all of the sites that we wanted to see. As an extra bonus, he took us to Georgetown university where my granddaughter is interested in attending. Edward's knowledge of the city and it's history is unsurpassed. Thank you Edward - you're the best! Eddie, our guide did an excellent job. He was able to completely satisify an 8 year old and her grandmother who can only walk with the help of a walker. He had a great knowledge of Washington, D.C. We had a great day. This is the second time we have worked with Edward as our tour guide - we asked for him in particular as the students always enjoy his tours! Polite, knowledgeable, and experienced guide. We enjoyed our day very much! We had a fantastic time with Ed today. He was extremely knowledgeable and very interesting to chat to. The time just raced by! We would definitely use him again if we returned to DC! Thanks Ed, and well done! Eddie was great. He Welcomed us at the gate at union station. Eddie was very knowledgeable not just about the sites but also the politics going on. His choice of sites was great and his timing perfect to get us back to the station on time. The car was very comfortable for a family of four. The 12 and 15 year old also really enjoyed it. Thanks Eddie. A great tour by Edward - he was very knowledgeable and arranged our itinerary so that we were able to beat the large ques wherever possible. Thank you for a very informative and enjoyable day for our whole family. Would highly recommend doing a tour with you to anyone in the Washington area. He is nice and professional. His knowledge is rich. My kids aged 16 and 17 years old and all my family are satisfied with the tour. My kids want to send him thank you. High recommended. We thoughly enjoyed our time with Edward. He was very knowledgeable. He even made an extra stop for us. Would recommend him to others and would ask for him if we ever need another tour ourselves. Wonderful ���������� Eddie was great. Thoroughly enjoyed my experience at Gettysburg. Highly recommendable!!! Our guides (yes two, Eddie and Tracey) provided us with a lot of very interesting and relevant knowledge of American presidents, history and other information from the DC area (relevant buildings, museums and sites etc). They drove us from site to site allowing us to walk and experience memorials and historic places in a most efficient manner without any feeling of being rushed around. When they left us I asked my wife if the tour met her expectations and she said that it exceeded it by far. Amazing tour giving fantastic insight into the battle at every stage. The knowledge and passion of the guide was matched by the ability to physically stand at the location of every pinical point of the battle. Would highly recommend to whoever has even just a fleeting interest... this is a must to anyone visiting Washington / Gettysburg. Edward was the Perfect Tour Guide!!! Very knowledgeable & informative as well as being flexible and attentive to our needs. Would Highly Recommend Edward to anybody planning a trip to D.C. if for no other reason but to get the inside scoop on the Pentagon Memorial. We're not holding anything against Edward just because he's a lifetime Redskins fan--gonna feel bad when our Cowboys take 2 more wins from his Skins this year. Thanks for taking such good care of us, Edward---Excellent Job!!!! Edward did an outstanding evening tour of the monuments. He is very knowledgeable and personal. I highly recommend him. Edward was very informative, friendly and full of insight. I would have him as a guide again and would highly recommend him as well. TOUR GUIDE RESPONSE: It was my pleasure. Eddy is a great guide and source of details of DC. He was always on time and never in a rush. First rate in every way. Highly recommend. Eddie is very knowledgeable, professional, friendly and flexible. He gave us a wonderful tour of the city's monuments, and was a pleasure to be with. Eddie arrived before scheduled time and called us to let us know he was there. Our tour lasted a little more than 2 hours, and we visited the major D.C. monuments. Our favorite site was the crash site monument at the Pentagon. Overall, we had an enjoyable evening, and Eddie attempted to accommodate our needs. Eddie was great. He picked us up at our hotel and navigated the route we wanted to take in an effective way so as to avoid massive amounts of traffic. He was informative and even took us by a great sight we didn't plan on seeing. A great way to knock the monuments off the list. When dropping us off he made suggestions of things to do in our area. He was clear and friendly and we had a great day! Eddie was amazing! He was patient and knew a lot of facts about DC and the happenings. He also knew the best ways to get around and made the entire trip enjoyable. I would love to do another tour with him if I get back to DC. We really enjoyed our three days in Washington DC with Eddie. He was flexible and truly made our tour a custom experience. We were able to see things that most people miss. I highly recommend him. Edward was highly knowledgeable of all monuments plus friendly and entertaining. We would highly recommend him for your tour. Edward was AWESOME!! He gave us just the right amount of information and brought us to all the tourist-y spots that we needed to get to. Each time he dropped us off, he clearly marked our route & gave us a meeting time so we could keep on schedule. There were times when we took longer than scheduled, all we had to do was give him a text or call and he was quick to re-group. His car was clean and comfy, and fit 6 comfortably. Wish I could have him as a tour guide for the rest of our stay here. Edward (Eddy) was wonderful. On-time, intimately familiar with HIS town - Washington D.C. and was masterful in navigating our way through a very busy tourist season from site to site. Eddy answered our questions, dropped us off and picked us up at appointed locations knowing how much time we would need to visit each site. He was engaging and a joy to be with. Thank you Eddie for a great day!! Highly recommend. Once again Eddie made sure everything was taken care of for us. Edward was our tour guide for about 5 hours on our first trip to DC. He took our group of 6 Aussies, including 3 kids, wherever we wanted to go. He was very prompt, professional and knowledgeable. We really enjoyed our tour and would highly recommend Edward. Great guide,goes above and beyond to make sure we get the most out of our tour. Eddie is a true professional and would recommend that you take advantage of his services. He gets you as close to the action as possible. This is especially appreciated at the Pentagon Memorial. 'Ask the big bus companies how far away they park'. With that aside, he knows his stuff and that is important to me. He is a second generation guide and it shows. Eddie comes highly recommended from me. Affable, courteous, knowledgeable and punctual. 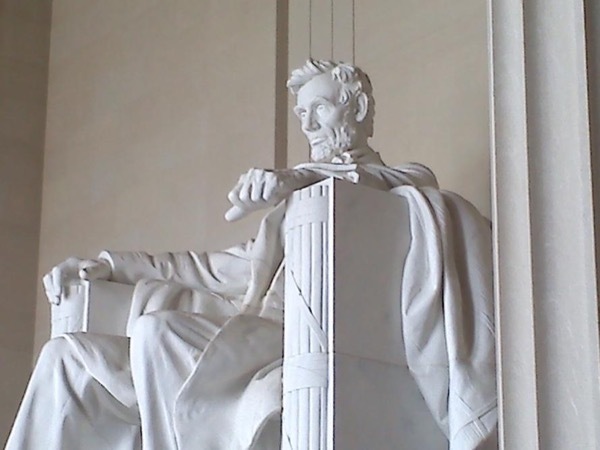 I am pleased to be able to recommend Eddie to anyone wanting to explore DC in half a day. Eddie was amazing! Very knowledgeable and accomadating. He personalized the tour and we got to see everything we wanted...we even had time to stop and get cupcakes in Georgetown :) I would definitely recommend this tour to anyone!. What an AWESOME guide! Very thorough, knowledgeable and friendly. We loved his spirit! He is truly "a to die for guide"! Edward was wonderful! He was very flexible and accommodating with our group. The tour was very informative. Edward provided great information on this tour. He was a highly knowledgeable, intelligent, and expert tour guide. We received great value for our custom tour. Thanks Edward for completing out trip in style. Edward is awesome. He was waiting for us when we arrived at Union Station and took us to every site that we wanted to see. Along the way, he told us about the history of DC as well as pointing out other buildings of interest. He was patient and accommodating. I would highly recommend a tour with Edward. Edward was our guide on this three hour day tour of the Washington D.C. monuments. He was friendly, informative, and very knowledgeable. As a D.C. native Eddy knows how to get you around the town with ease. Eddie was wonderful! We were a little late leaving our restaurant and Eddie picked us up at the restaurant instead of our hotel. He was very knowledgeable and told us interesting things that weren't in a guide book. It was an unusually hot and humid day and absolutely the best way to go was an evening tour instead of the heat of the day. Eddie tailored the tour to our requests. it was a fabulous evening! TOUR GUIDE RESPONSE: I am happy you enjoyed your tour! Eddie was informative, engaging and knowledgeable. He took us to extra sights when we did not need all the time allotted at a stop. We enjoyed every minute and would highly recommend him. From our trip out to Gettysburg (when we were treated to a CD/movie of the battle timelines), to the arrival and meeting up with our incredible story telling expert battle guide, it was such a wonderful experience. We never felt hurried or rushed, and getting to know our guide made the car ride to and from fun as well. Great Personality! The museum and cyclorama are worth the trip as well! Eddie is an amazing tour guide and great guy! We've been on many Disney tours, including Adventures by Disney, so we have pretty high tour standards. Eddie is right up there with Disney! My 12 year old daughter was really impressed with the interesting stories he told us. I'm so glad we didn't opt for the big bus tour. It's worth it to spend a little extra because we saw so much. When we go back to DC, we will definitely do another tour with Eddie! Ed was excellent and it was a joy to hear all the knowledge and history of Washington from him. It was a private tour with an art docent! Ed knows his history and lots of fun trivia to go with it! Highly recommend! Disappointed, We were under the impression that Arlington was included in this tour. We learned that it had been changed. At least when I first booked the tour it was included. We should have been informed that it was no longer included. Although Edward was very informative and made our trip worth while. Thank you We couldn't have done it with you. Eddie was great. Efficient, friendly, nice, knowledgeable, prompt, good driving skills, knew the best routes to avoid traffic, chose convenient places for drop off and pick up. We loved seeing the sights by night. He let us add MLK. I would recommend Eddie and this evening tour. Edward gave us the greatest experience of our lives. The tour was great he was very informative, patient and helpful. He was absolutely wonderful! Very knowledgeable, helpful, and personable. Clean vehicle and tons of fun! Highly recommend! Very accommodating and informative. 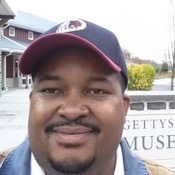 My tour to Gettysburg started great with a video about the battle which I watched on the drive to Gettysburg from D.C. Edward had the timing all worked out from allowing me time for museum and movie and lunch prior to tour of the grounds. The park tour guide who Edward arranged also was informative and personable. I thoroughly enjoyed my day and learned so much from the exhibit, Edward, and the park guide. Eddie was awesome. Very knowledgeable and kind. I would highly recommend! Edward was an excellent driver. He took care of us and we got to see a lot of Washington. It was a great day for all of us. He is a great asset for your company. We had a great tour with Edward. He's exceptionally knowledgeable, courteous, friendly and professional. We highly recommend the tour! Eddie was a great tour guide. He really knows what to show his clients and the history of Washington DC Great Job. Thanks. Eddie made our day in DC GREAT. Our overseas visitors were impressed by his knowledge of DC and the efficientenants way we got around. Very impressed! Will recommend the tour to friends. Thanks. Eddie was superb! Very knowledgeable and was able to fit in a few spots we had on our list of "must see." He insisted on taking us to the memorial at the Pentagon and we were so glad he did! I loved having a private car to allow for flexibility. We had a special, intimate evening with just our family, rather than an impersonal giant "one size fits all" tour on a bus. My 9 year old said it was his favorite part of our whole trip! Edward was friendly, helpful and very knowledgable. He went the extra mile for us and personally guided us through some of the locations where parking was available for him. We would highly recommend him to anyone coming to Washington. Loved the knowledge our tour guide had. He was an effective communicator. Loved his enthusiasm and to top it off went to all the places we wanted to see. TOUR GUIDE RESPONSE: Thanks! It was a pleasure having you. Friendly, knowledgeable...we really enjoyed our time with Eddie. He was prompt, car was clean, we really enjoyed our day! Highly recommend!! Eddie was engaging, informative and knowledgable. He kept us entertained as we travelled around the key sites, helping us get the most out of a short trip to the city. Edward's role was as guide and driver. This means that he would drop us at the beginning of a memorial, let us walk it, pick us up at the end, driving us to the next one. In between stops, Edward explained what we were passing and explained what we were about to see. He also explained other information relevant to Washington. He was knowledgeable and talked with adults and children based upon interests. He even provided some current events. He accommodated a special request. Very pleasant person. Fantastic experience. Our tour guide, Eddie, did everything possible to make our tour enjoyable. Well done. He took great care with our young kids on a sweltering DC summer day. Very personable and knowledge: so patient with the kids and helped us with a special request. Thanks: highly recommend Edward!! Excellent tour guide. Organized. Efficient. A native of DC with a knowledge of the history, civics, politics and culture. Fun and entertaining. Great sense of humor. Rapidly sensed our areas of interest and desires and added to the experience via his incredible wealth of knowledge. We learned and experienced in seven hours far more that we could have in seven days on our own. All and all, a delightful day!! We give Eddie the highest evaluation possible, he is very good. Thank you Eddie. TOUR GUIDE RESPONSE: You're very welcome! Great guide and tour. He worked around what we wanted to see. He showed us great places for pictures. Only in Washington DC for short time. He showed us places that we didn't know was in Washington. Great guide. Eddie is outstanding, goes the extra mile to ensure we had a memorable tour. We changed a number of stops, and he even got tickets for us to go up to the top of the Washington monument! You will not be disappointed selecting Eddie as your tour guide. Thumps up! TOUR GUIDE RESPONSE: Thanks for the review. Had a great time with you. Have a safe trip home to the west coast! This tour was very educational for my husband and I. We were a bit apprehensive about getting around an unfamiliar city like D.C., but our tour guide, Edward, navigated all traffic seamlessly, had the timing down for each memorial we visited and was a wealth of information about each monument and the area in general. The cost of the tour was well worth it. If you are thinking of booking with this company, we would highly recommend them! TOUR GUIDE RESPONSE: Thanks. I'm glad you enjoyed. Edward (Eddie) was very knowledgeable, making what we saw more interesting. He customized our two days which made it very nice for us. The transportation was comfortable for our party of 6 adults. Edward was a fabulous tour guide! He was very courteous and exhibited his knowledge of the city and African American sites by patiently guiding us and answering all our questions. We will definitely recommend this tour to others. TOUR GUIDE RESPONSE: Thanks! I am so glad you enjoyed your day. We had a beautiful glimpse of George Washington's world on our visit to Mt. Vernon. Edward set the stage with a descriptive drive to the estate in his nice van. He showed us the colonial life in old Alexandria which we enjoyed very much. Edward was very professional and our tour was a highlight of the DC visit. Edward was flexible with our itinerary, was very knowledgeable and we enjoyed our tour with him. Edward is a great guy. A fun personality who was very attentive to our needs. We would highly recommend him. We were so comfortable with Edward. We are amazed at his knowledge of history of our beginnings. Any question we asked, he knew so much about the subject. His chronological info was unbelievable. We could not have had a better personal tour,and we have had many. TOUR GUIDE RESPONSE: Thanks again. We had a great, great tour of our capitol city. Edward is a good driver while telling us so much info. Wonderful, down-to-earth person! TOUR GUIDE RESPONSE: Thanks. Real easy with great guest. Edward was the ultimate tour guide. Every passenger on tour was pleased with his knowledge and persona. We will definitely use him again. Hopefully Edward will be available for a long time to come.